The Dixon Cymbal Stand 9280 Series combines quality parts and the ability to fully adjust the height and angle, allowing for adaptation and precise set-up. 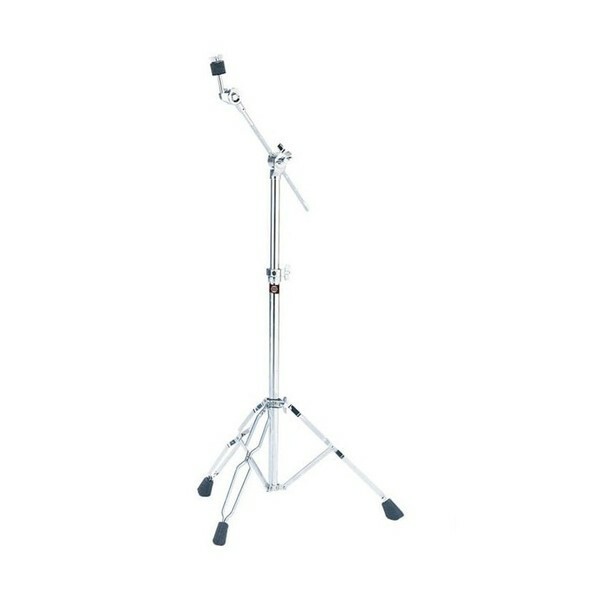 Featuring an invisible boom arm allowing the stand to be used even in compact playing spaces. The stands hide-away boom arm folds away to save space, making the stand ideal for travelling gigger. Featuring an 8mm geared tilter, hinged adjustments with alignment tube inserts, a cast tri-pod collar and double braced design and legs. Exclusively distributed in the United States by St. Louis Music supply, Dixon Drums and Hardware is considered a rising star in the acoustic drum business. Established by its Taiwan-based parent company with over 35 years experience in quality drum and hardware manufacturing, Dixon embraces both sound and function in its effort to advance the art of drumming through the craft of drum making. Playability, reliability and sustainability shape the Dixon vision as a full-line drum brand able to adapt to all styles, deliver at all levels, and stand the test of time; nothing validates these achievements more than the signing of Grammy Award winning drummer Gregg Bissonette to Dixon endorsement roster. Gregg is a renowned L.A. session/touring artist currently touring the world on Dixon drums alongside Ringo Starr with his All Starr Band.